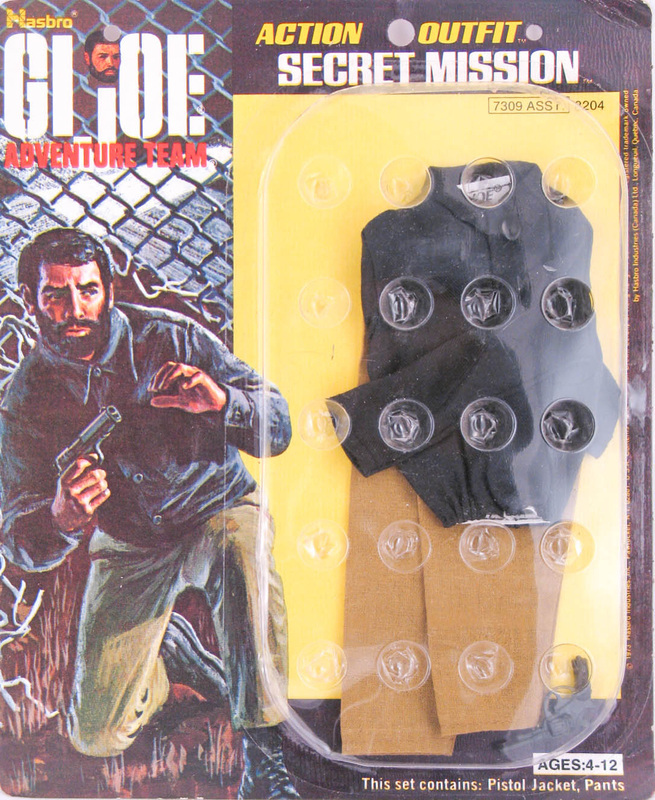 Secret Mission (7309-1) gives Joe an outfit for clandestine operations. The set features a black snap front shirt with an elastic waist and elastic waisted tan pants. The accessory is a Lebel revolver in standard sliver and black for the first issue, and later in all black. The top was later used with black pants in Black Widow Rendezvous.